So if you’ve been reading my stuff for any amount of time, you see me mention the ministry, Celebrate Recovery a TON. That’s not only because my husband and I are co-ministry leaders, but also because it’s CHANGED our lives! 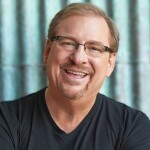 Here’s a message from Pastor Rick Warren to help answer that question, What IS Celebrate Recovery? You can also find it in its original place on the web, here. The Bible clearly states “all have sinned.” It is my nature to sin, and it is yours too. None of us is untainted. Because of sin, we’ve all hurt ourselves, we’ve all hurt other people, and others have hurt us. This means each of us need repentance and recovery in order to live our lives the way God intended. What we need is a biblical and balanced program to help people overcome their hurts, habits and hang-ups.Celebrate Recovery is that program. Based on the actual words of Jesus rather than psychological theory, our recovery program is unique, and more effective in helping people change than anything else I’ve seen or heard of. Over the years I’ve witnessed how the Holy Spirit has used this program to transform literally thousands of lives at Saddleback Church and help people grow toward full Christlike maturity. always been uncomfortable with that program’s vagueness about the nature of God, the saving power of Jesus Christ, and the ministry of the Holy Spirit. So I began an intense study of the Scriptures to discover what God had to say about “recovery.” To my amazement, I found the principles of recovery, and even their logical order, given by Christ in his most famous message, the Sermon on the Mount. Finally, this recovery program produces lay ministers! Because Celebrate Recovery is biblical and church-based, it produces a continuous stream of people moving into ministry after they’ve found recovery in Christ. Eighty-five percent of the people who’ve gone through the program are now active members of Saddleback Church, and an amazing 42% are now using their gifts and talents serving the Lord in some capacity in our church. In closing, let me say that the size of your church is no barrier to beginning a Celebrate Recovery ministry. You can start it with just a small group of people and watch it grow by word-of-mouth. Your won’t be able to keep it a secret for long! You are going to see lives changed in dramatic ways. You are going to see hopeless marriages restored and people set free from all kinds of sinful habits, hang-ups, and hurts as they allow Jesus to be Lord in every area of their lives. To God be the glory! We’ll be praying for you. To find a Celebrate Recovery in your area, put your zip code in HERE.